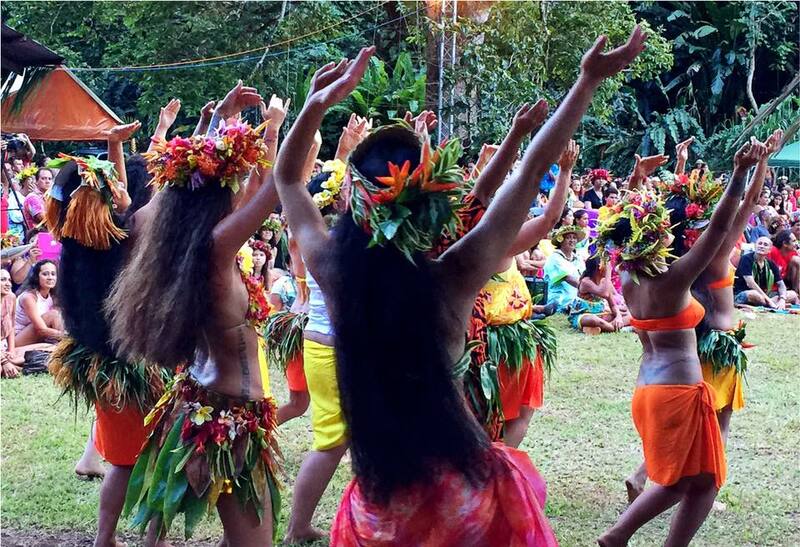 On the 24th September 2016 ‘Ori Tahiti dance group O Tahiti E celebrated 30 years of existence in a very Tahitian way out in the Afa’ahiti valley with a 3 hour retrospective show that traced back to their 1997 iconic performance of ‘Te Tiaoro’ right up to this years ‘Tahiti ata ata noa’. 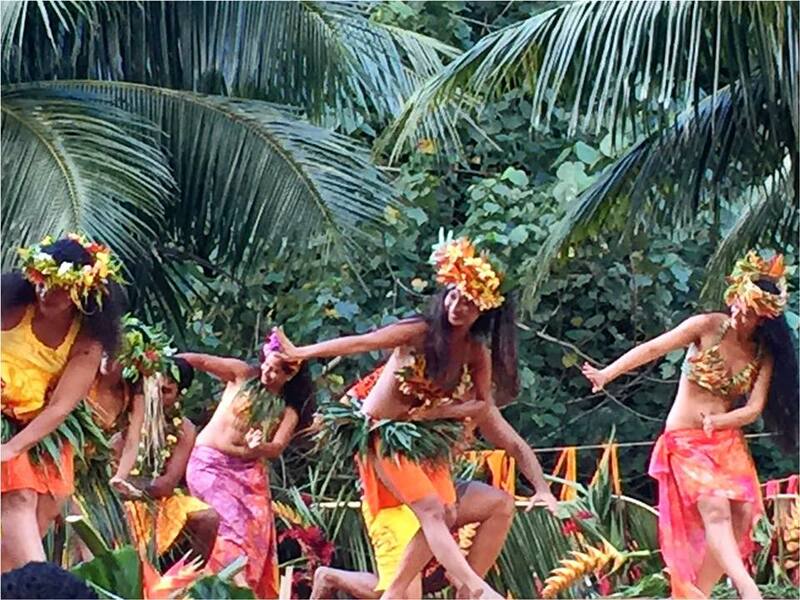 Tahiti Dance Online looks closer at this event. 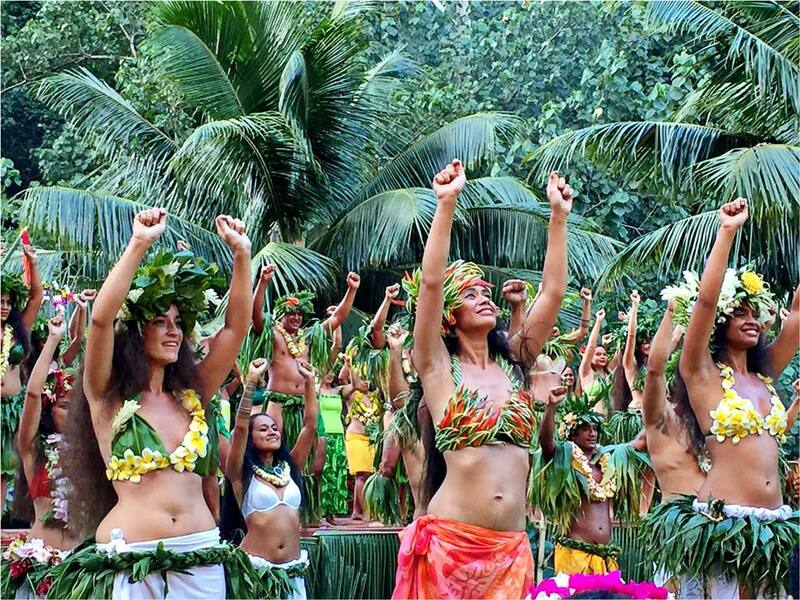 O TAHITI E was created in 1986 by emblematic ‘Ori Tahiti figure Marguerite LAI who named the group after the original name of Tahiti or ‘Otaiti’ which was used on early navigation charts to describe the island of Tahiti. 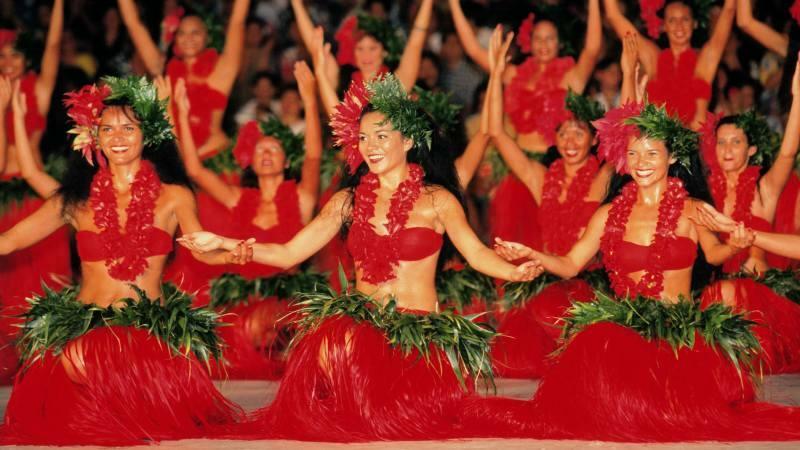 In 1997 with ‘Te Tiaoro’ and 1998 with ‘Te Tapa’o’, O Tahiti E would win the ultimate Heiva title and in 1999 with their show ‘Te Pakerere’ based on a traditional Tuamotu theme, they would be invited to perform in Hanover Germany in 2000. That same year they would create ‘Te Merehau’ which was performed in Nancy, France. 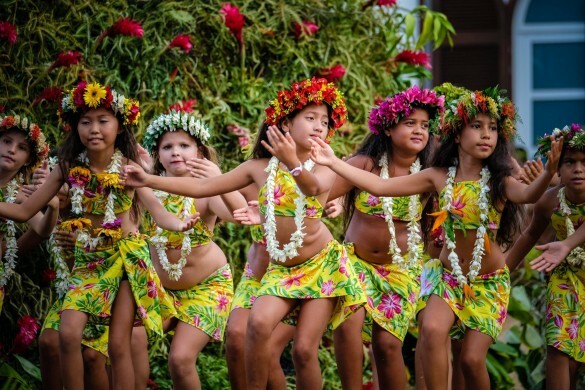 In 2001 with ‘Te Roimata o Oro’ the group would play out their first theatrical ballet. 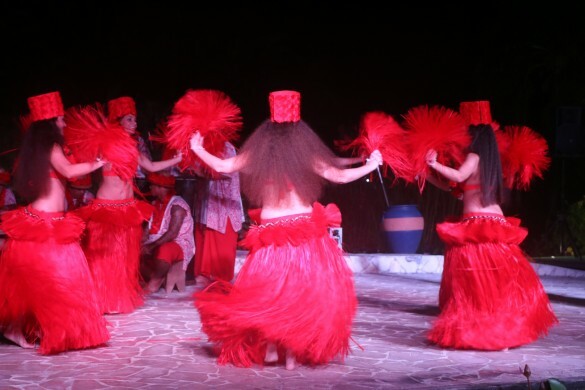 In 2005, they would participate anew at the Heiva festival with ‘Te Muhu a fenua’ and in 2006 they would celebrate their 20 year anniversary with a new show entitled ‘Mara’i’. 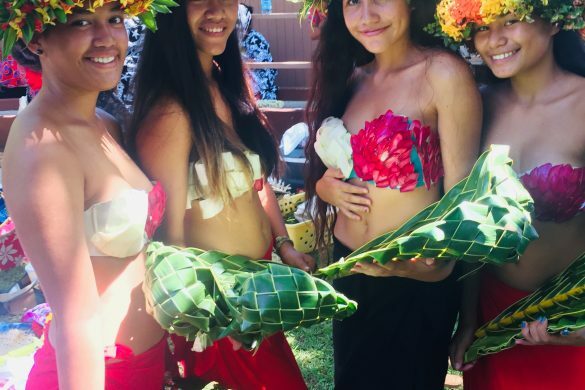 In 2009 they clenched the 3rd place title at the Heiva with ‘Te Iho Ora’ and in 2010 they would innovate with their show on the marae arahurahu in Paea with ‘Vaka Arioi’. 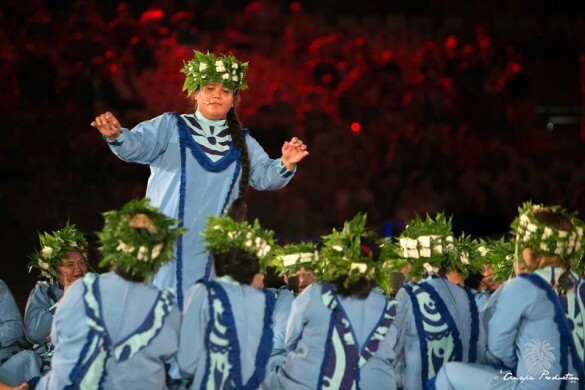 In 2011 the group would tour Canada and win the first place title at the Heiva in 2012 with their performance of ‘Te Tapuni. 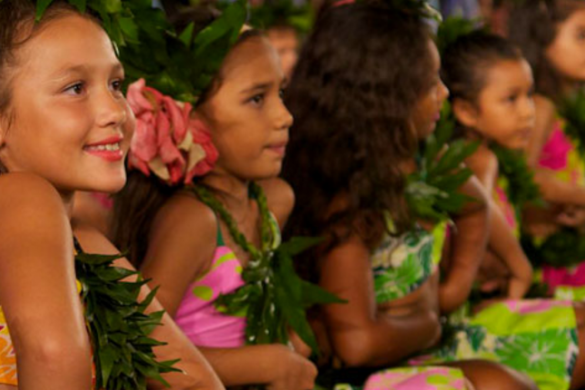 Most recently, in 2015 they would once again participate at the Heiva with ‘Te Anapa’ and in 2016 again clenching the 3rd place title with ‘Tahiti ata ata noa’. A group rich with history of tradition and high quality of dance excellence. 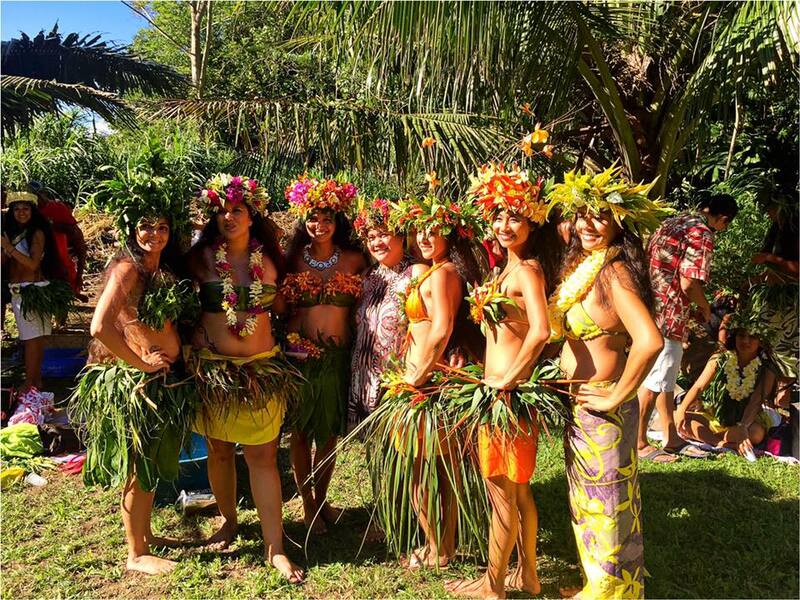 On Saturday 24rd September O Tahiti E celebrated their 30 years of existence Tahitian style in a remote valley in Tahiti iti called Afa’ahiti. 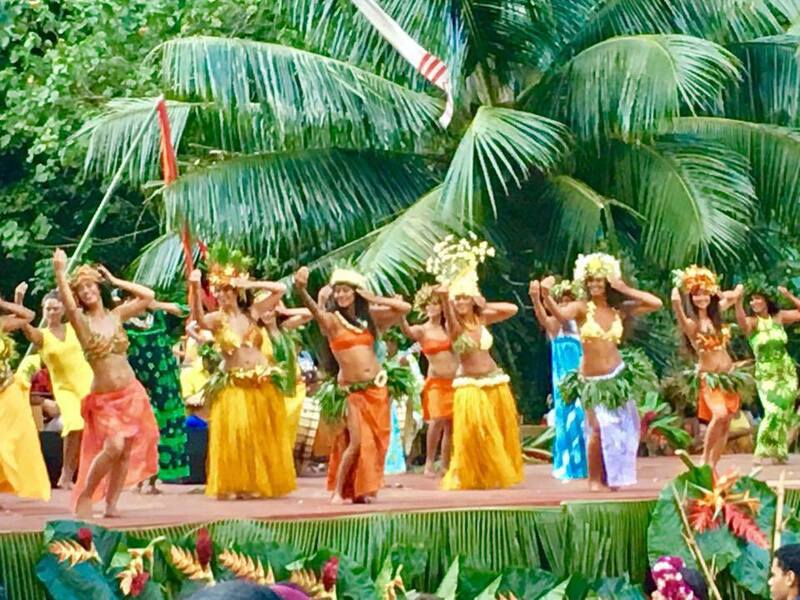 The idea was to bring all dancers together that had been involved in the group from it’s beginnings, which in the end rounded up about 2000 dancers and spectators. 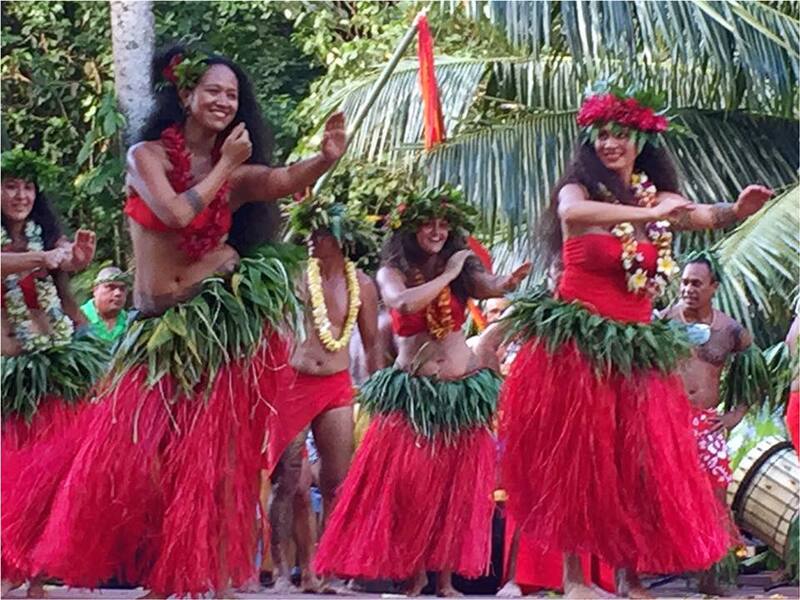 The ambiance was family like with everyone in traditional costumes and a traditional Tahitian meal complete with raw fish and an underground oven with pork and banana leaves among other local delicacies. The show started in the afternoon with a massive retrospective performance beginning with their 1997 stand out show passing by their 1998 and 1999 show then continuing with 2005, 2009 and 2012 ending off with their recent Heiva shows of 2015 and 2016. 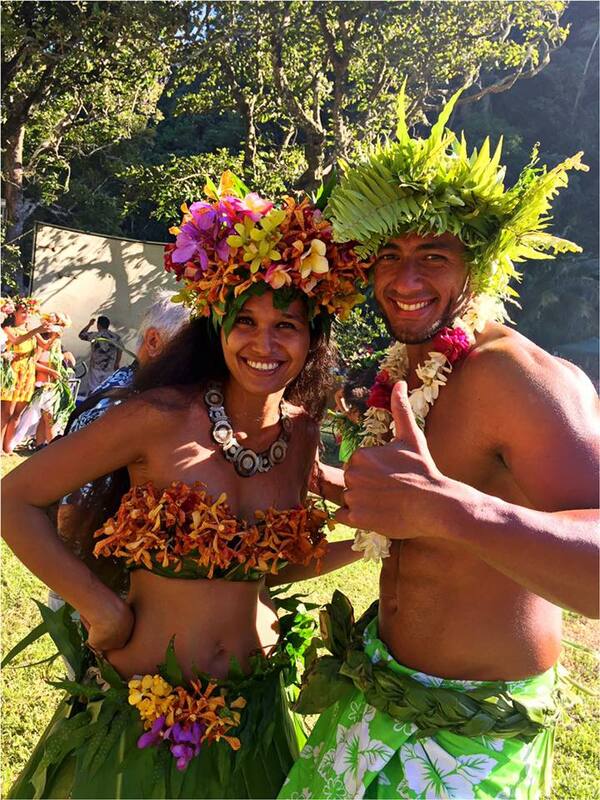 Each year was represented by two of the most iconic items and every group had a different costume and colour. 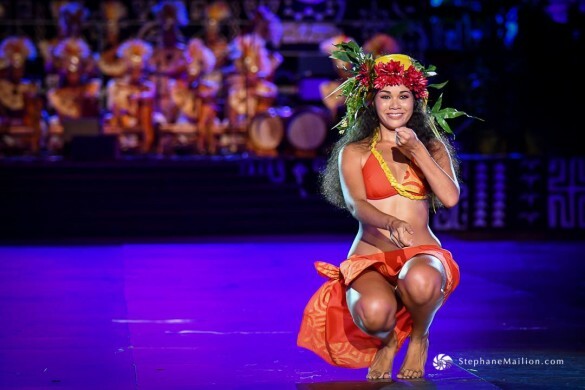 An amazing performance that would propel the audience at the heart of O Tahiti E and their historic journey throughout the years. 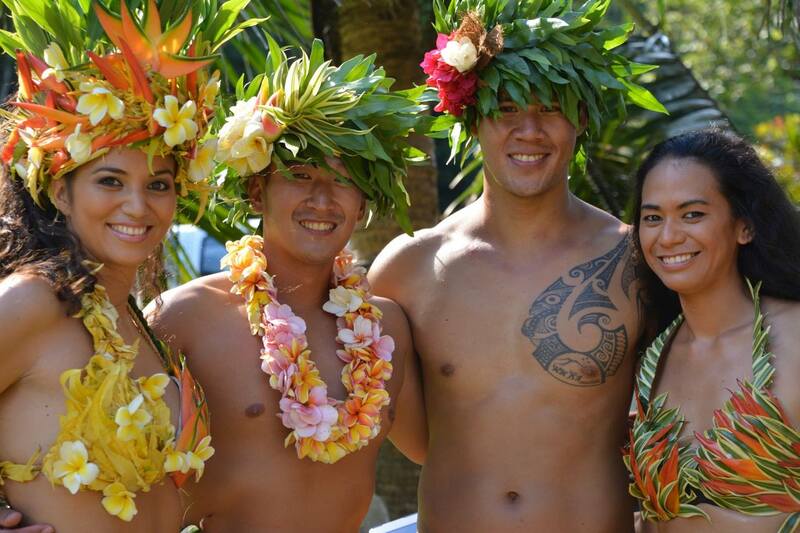 With founder of the group Marguerite LAI still very much at the helm we expect to see great things from O Tahiti E in the future. 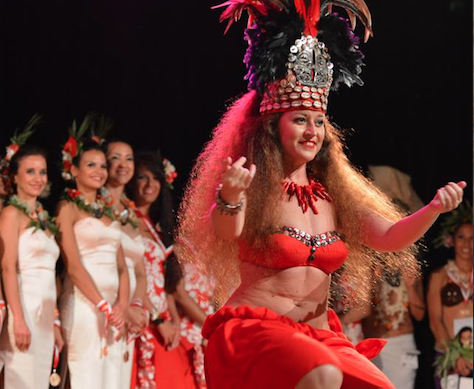 One aspect that remains true is that O Tahiti E takes pride in keeping the traditional connection in all aspects of what they do which is becoming increasingly important in an ever evolving cultural platform. We look forward to seeing the group prosper for years to come.